Last night I held my monthly Creative Memories workshop. 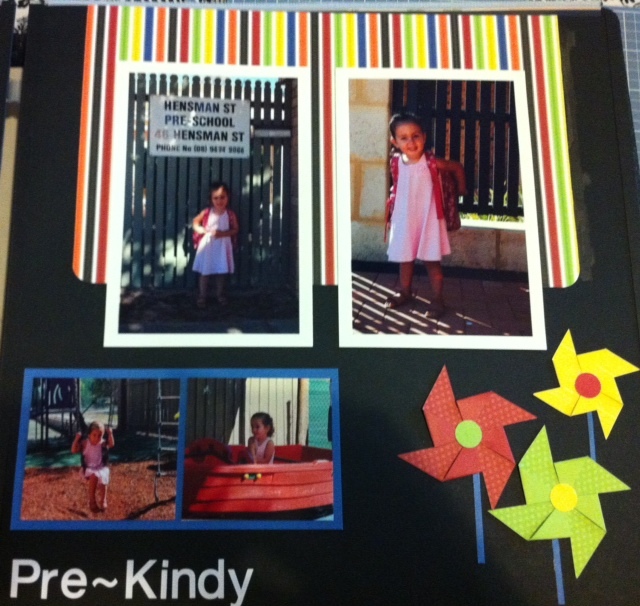 The theme was ‘paper craft’ I showcased a few quick ideas to add something special to a scrapbooking page. Below are the four ideas I demonstrated at the workshop. Create the pinwheels by cutting a square. Use All Purpose Scissors to cut in from each point to the centre. Fold one point in from each side, and adhere. Add sticker or die cut to the centre of the pinwheel. Cut two strips of the striped paper to measure 1-1/2″ x 6″. Using the Rotary Trimmer and Scoring Blade, score every 1/4″. Fold on creases to create an accordion. Using Precision Point adhesive, adhere the ends of each accordion strip together. Push centre of accordion down. Adhere to a circle base. Add a smaller circle on top to secure into place. Add die cut sentiment. 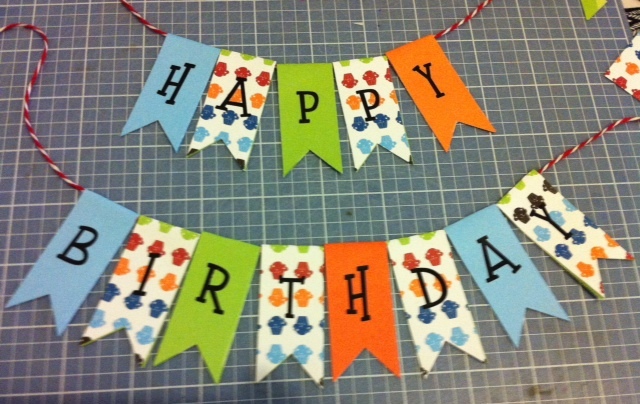 Create bunting by cutting paper into strips and folding it in half. 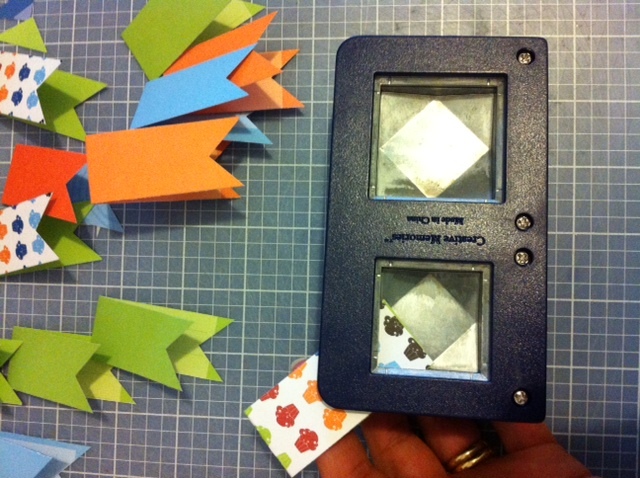 Using a square shape maker, place the folded strip into one corner of the square to create a perfect flag affect. Place through twine and adhere flag together. To create the flower cut 3 strips of ribbon. Adhere ends together to create loops, and angle over the tops of each other. Add die cut leaves under the loops, and add a paper flower and epoxy embellishment using Foam Squares. So when you need a little something to finish off your page why not think outside the square and be a little more creative!